But what would you do if you suddenly found out that you were one of the few who creates dreams for the whole world? Would you use your power to harness the light and weave it into beautiful tapestries of magic and wonder, or would you fall prey to the seductive siren song of darkness and nightmares? For tattoo artist Aura Mayville, this becomes a reality as she is ripped from her life of art and music and thrust into a realm where good and evil struggle for control over the minds and hearts of men. With a sarcastic sorcerer, a mercenary, and her Spirit Guide as her only companions, Aura must journey through the dream realm to discover both her power and where her heart truly lies. In a place where anything is possible, can she find the strength to hold on to herself, or will she be lost to the shadows forever? We will send The Dreamer's Thread to your Kindle at . 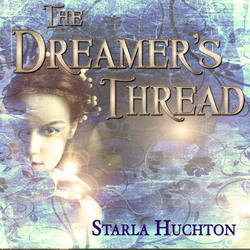 The Dreamer's Thread has been sent successfully to your Kindle!